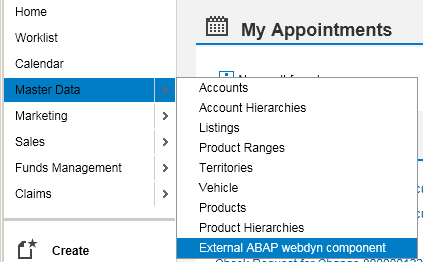 THINK twice why you want to include an ABAP webdynpro component into CRM UI, as in CRM application it is not recommended to use ABAP webdynpro to develop UI. 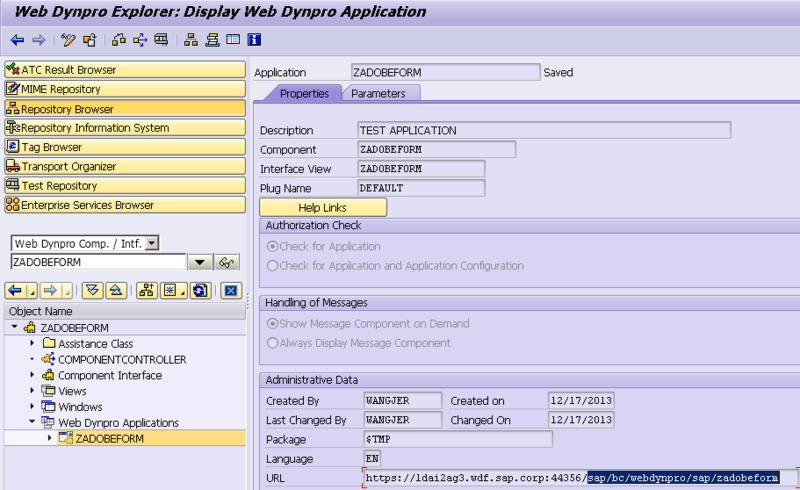 In some case for example, PDF preview is far more convenient using standard ABAP webdynpro control “Interactive form”. 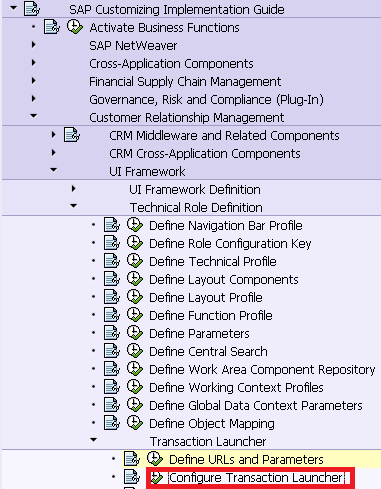 However if you would like to achieve the same via webclient UI, much more development are unavoidable. 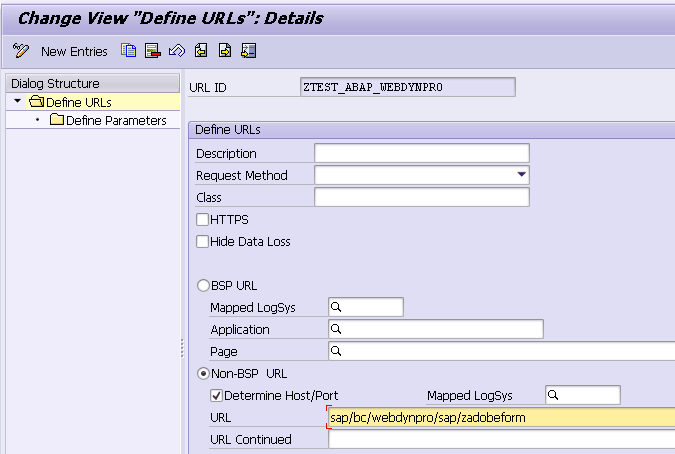 you have to fill the respective url of your webdynpro application to be embedded into this url entity. 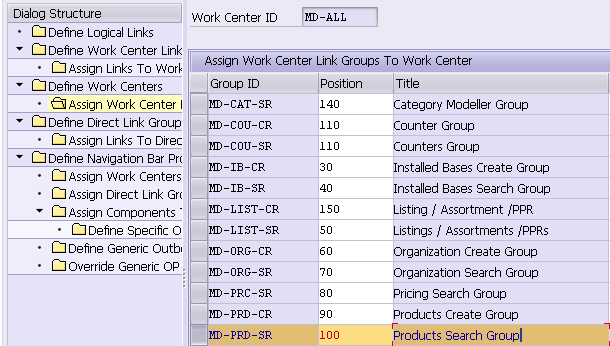 Specify a handler class. It is not necessary that the handler class must exist before this wizard is launched, the wizard will automatically generate it for you. 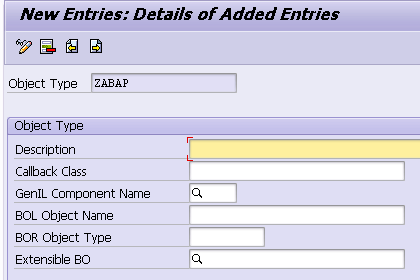 You can just specify the object type name and save it. 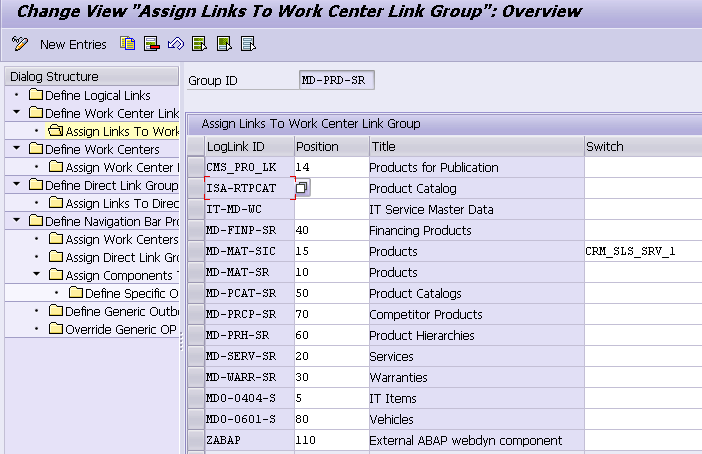 In the fourth step of the wizard, specify the URL id created in step1. Complete the wizard. 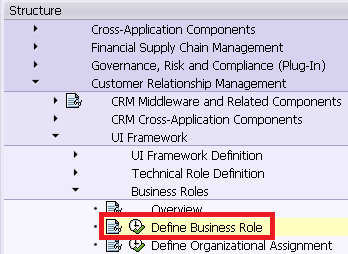 3. use tcode CRMC_UI_NBLINKS, locate the navigation profile of your business role, say TPM-PRO, and double click on “Define Logical Links”. 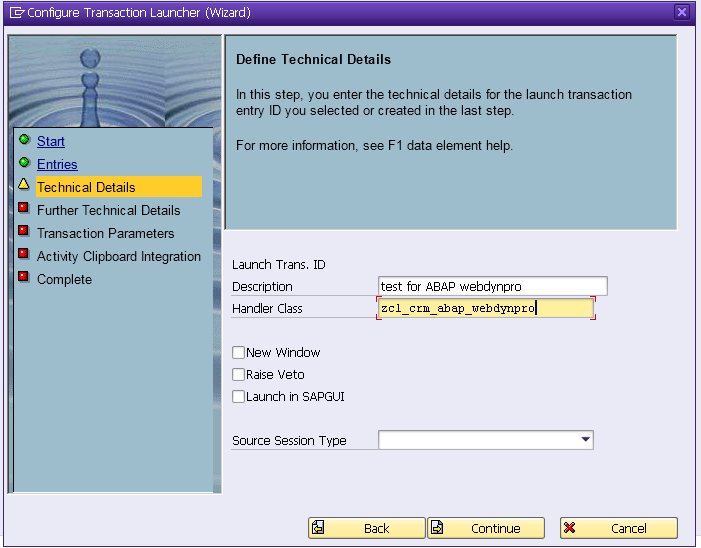 Choose type “Launch Transaction” from drop down list, and for target ID use the fixed one EXECLTX. 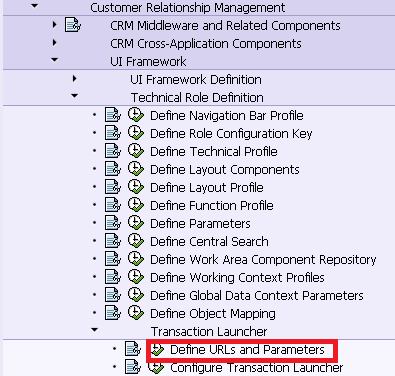 Choose the launch transaction created in step3 as Parameter, and for parameter class choose the class below. Maintain a meaningful description. 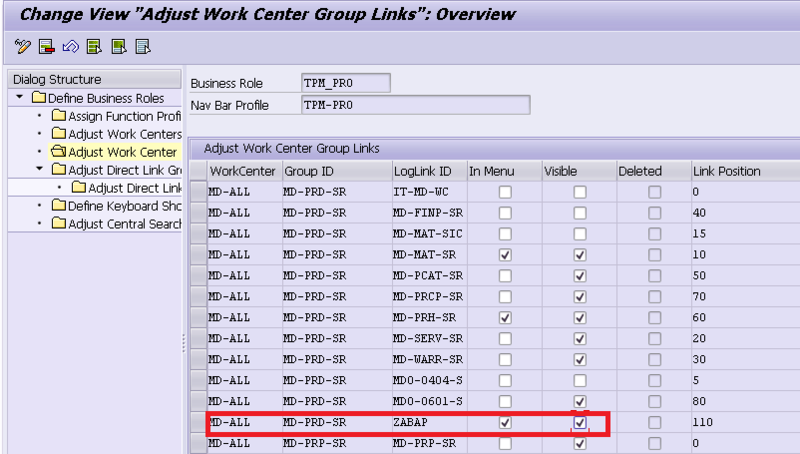 Choose business role TPM-PRO, and double click on “Adjust work centers”, and technical name “MD-ALL” is identified. Then MD-PRD-SR is what we look for. 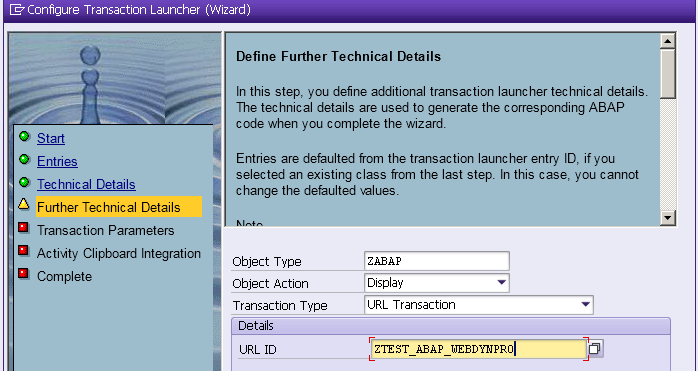 The area marked with blank rectangle is the ABAP webdynpro UI.